An accounting balance sheet is a financial report providing a quick view of a company's financial condition. It is a summary of assets, liabilities and equity. 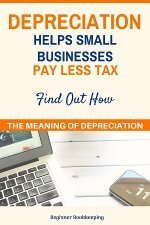 Understanding the benefits of this report are an advantage for business owners when making money decisions. In technical terms, a balance sheet is a detailed presentation of the Accounting Equation made up of debits and credits. This report gets its name because it needs to balance according to the accounting equation. What Balance Sheet Items Are on this report? If we take current liabilities away from current assets we get the working capital which is an important measure of the short term solvency of a business. If the business is unable to meet its short term commitments then it is likely to fail because it has too much debt and too little source of money to pay the debt. Short term commitments are things like upcoming bills for items purchased on account (accounts payable), and tax payments including sales tax, payroll tax and income tax, and wages. These are assets that can be turned into cash within 12 months, such as accounts receivable or the cash that is in your bank account or stock that can be sold. Are liabilities that can be paid off within 12 months, such as accounts payable or short-term loans. These are assets owned and used by the business, such as a building or vehicle, that will not be sold any time soon and will last for many years. These are things like long term loans that will take years to pay off. What is The benefit of an accounting balance sheet? This report is a summary of a bunch of other reports. 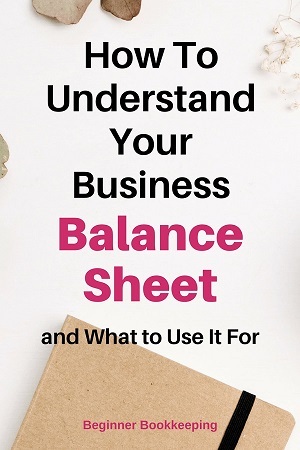 If the business owner just wants a quick snapshot of everything without rifling through different reports, then the Balance Sheet is the place to look. When taking all liabilities away from all assets we can establish the owner's financial interest (equity) in the business. Related to this is another report called the Statement of Movements in Equity, which shows how the owner's financial interest in the business is changing through the year. How does the balance sheet differ from an income statement? 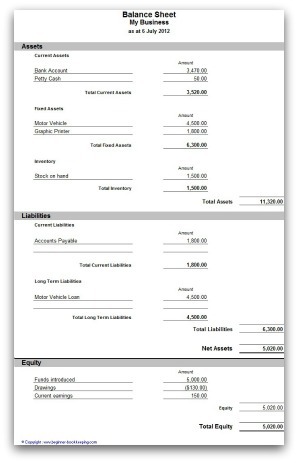 Unlike a profit and loss report (income statement), which details the totals of the income and expenses from a time range like May 1 to May 31, the accounting balance sheet presents the accumulated values of the assets, liabilities and equity at a moment of time such as May 31. These values have accumulated (or built up) since the date the business started, whether five years ago or one year ago and show the result of all the business activities throughout that time. These totals will continue to build up in accumulation through the life-time of a business and so they are called permanent accounts. In contrast, the accounts on the profit and loss report are cleared out to zero once a year so they are called temporary accounts. They do accumulate the totals of income and expense accounts, but only for one year. when should a balance sheet be prepared? Accounting balance sheets can be prepared by the business every month after the bank account has been reconciled. Then the business owner can check it every month and see how business is looking. A final balance sheet is prepared at the end of a financial year after the final profit and loss report has been prepared for tax purposes. 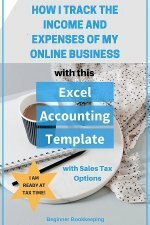 I recommend this be done by a professional bookkeeper or qualified accountant who will ensure the financial reports are in agreement with generally accepted accounting practices (GAAP) and with tax legislation. They can also make the necessary adjustments to do so. This ensures the information in the bookkeeping system continues on accurately from year to year as the business goes on with trading activities which affect the assets, liabilities and equity. how detailed can balance sheets be? Large businesses and corporations tend to naturally have more complicated balance sheets and might only display the information as a summary under summary headings. Small businesses tend to have simple, less complicated reports and can display more detail on the report. The balance sheet for either big or small business can be as detailed or as summarised as the business requires. It could simply show a total for each heading (assets, liabilities and equity), or it can show a listing of each item that makes up the headings. What other names can accounting balance sheets be called? Another name for an accounting balance sheet is the statement of financial position. 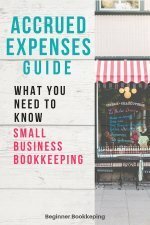 I also recommend reading this in-depth, information packed article by Lake Kenway from Bookkeeping-Essentials. Lake is a certified professional Canadian bookkeeper with a tonne of knowledge and experience under her belt, with a love for tea! Lake provides a great step by step view of the balance sheet and discusses the format, accounting standards, ratio analysis, and you can even test your knowledge!